I was on a facetime video call to my family in California when I found it. I couldn't believe my eyes. It was gold! Thank you it was great seeing a video of a King with all gifts left intact and addressed honorably. I would have loved to watch you help the King out, that would have been wonderful but the yellow raincoat guy there set him down nice, it was a relief. I know it could have been quite a different movie if you saw him fling the snake, or any other lousy thing. You give off a vibe of pure security - people are safe with you and so are snakes. Thank you Lou, I bet your King in the rain is only the first of more to come. What an amazing thing to get to experience. Your video made my day - thanks. Great video Lou, pretty exciting experience. Thanks for the post. Mark Brown wrote: What an amazing thing to get to experience. Your video made my day - thanks. Congratulations. What a great feeling that must have been! A beautiful snake. I can feel your trepidation towards the end of the video. Who was the man; were you able to glean his motives? Maybe he was a local herp enthusiast, suspicious of what you were up to with your newfangled Facebook Live and all? I didn't watch the video in super hi-def ... was that a rake he was wielding? Really GREAT vid Lou - Nice job ...! Great find Lou and good job videoing and sharing it. Who was the bloke in the yellow coat? Did he work there? This is a great video - you really carried us along on the adventure with you. Thanks for sharing it. The guy that "interrupted" was just a local guy. In the end, we had the same goal, to save the snake. He was really rude and wouldn't acknowledge me at all. I tried to not let is ruin the experience. I did spend almost an hour with the snake, mostly in the rain though. Wow, you've outdone yourself with this one Lou! Fantastic video and amazing find. 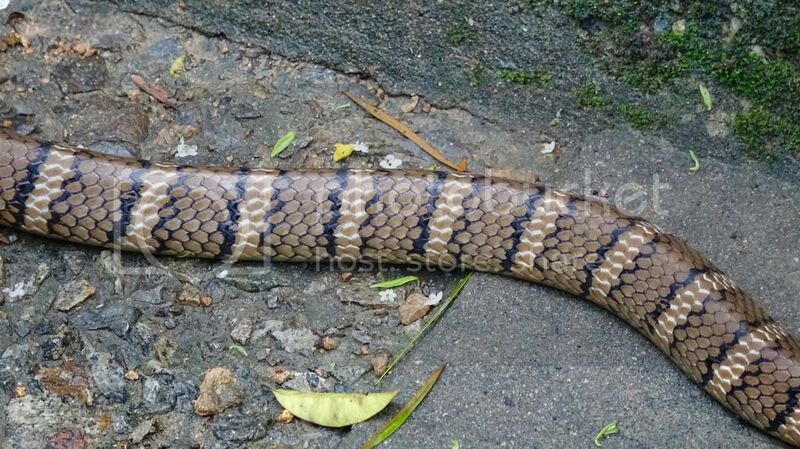 Great find ... WOW , a KIng Cobra in the wild ! But I dont see what the problem was with the guy rescuing the snake from the canal ... what was wrong with him putting the snake back into the forest ? He seemed like he did this a hundred time before .... even was prepared with a 'hook' long enough to rteach to the bottom of the canal. I'd have shaken his hand. 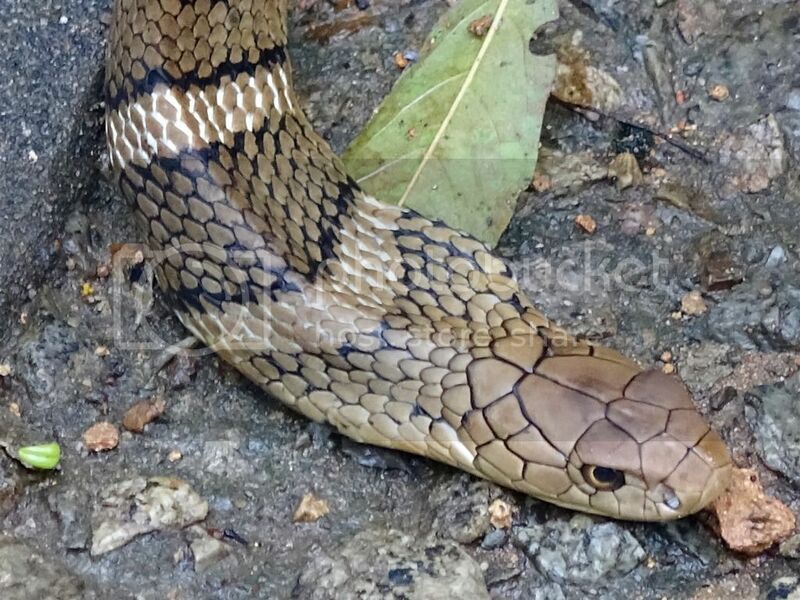 How many people would heve saved a King Cobra ? Yeah, I saw that guy earlier. I told him to wait until I was done videoing. The rain sort of drove him off, but he came back once it stopped. I had about 10 mins recording time left and wanted to get more footage! I would have removed the snake. That said, I believe it was in there actively hunting other snakes. It could have easily climbed up one of the many ladders in there. so with that said I have always been captivated by their calm sense of taking care of business when the situation arises. The calmness can change in a blink of an eye if needed and that's just their inherited gifts for surviving in this dangerous world. They are one of a kind and extremely special.